When you face legal action, you need competent, aggressive and knowledgeable attorneys on your side. The attorneys at Bradford Ladner, LLP will use their years of experience to ensure the best possible outcome for your case. If you are facing a criminal charge, having seasoned criminal defense attorneys may mean the difference between a jail sentence or freedom. At Bradford Ladner, LLP. we have protected the rights of our clients in criminal cases ranging from simple traffic offenses to the most serious violent crimes. Let us stand by you in court, protect your rights, and fight for your freedom. Whether you are a plaintiff or defendant, civil litigation can be confusing and costly. Your livelihood, property, or assets may be at stake. 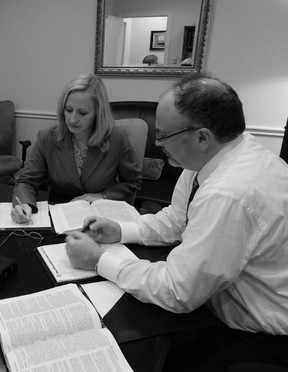 Sound legal representation can guide you through the maze of civil litigation. The lawyers at Bradford Ladner, LLP. are experienced courtroom lawyers who have handled countless cases for their clients. Let us put our experience and skills to work for you. If your criminal and civil cases has not concluded in your favor, all is not lost. In most cases there are valid and important legal issues that can be appealed. We have handled many such appeals successfully, appearing before the Alabama Supreme Court and Federal and State Courts of Appeal on numerous occasions to argue on behalf of our clients.